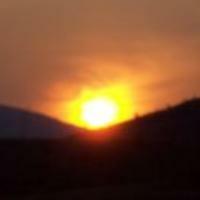 decided to use my Askville avatar here,and so you all know it’s a sunset on the mountains behind our house here in B.C Canada that Mrs Squeeky took. Sad, she helped this old stubborn truck driver a few times, hugs Gail you really did make this site a better place. Thanks, for the great welcome,though I have been a member of Fluther for some time just haven’t participated that much,I hope that will change. If you want a pet you can leave alone like that get a cat. Login to send a message to SQUEEKY2. Regarding your answer: thanks for actually answering my question. Thanx, new internet server with ISP didn’t know if it was them.